The beautiful shores and clear turquoise waters of Mai Khao, Thailand are yours with a timeshare at the Marriott Phuket Beach Club. SellMyTimeshareNow.com features affordable resales and rentals to help make your dream Thailand accommodations a reality. The seaside cliffs and pristine beaches of Phuket lay just beyond your door at Marriott's Phuket Beach Club. This luxury resort located on the shores of Phuket Beach will provide you with that tropical home-away-from-home you've been dreaming of. This TripAdvisor 2016 Traveler's Choice Award-winning resort includes thoughtful amenities like several outdoor pools, access to impeccable dining, and a close proximity to watersports and boating, all to make your Thailand vacation full of activity and relaxation. 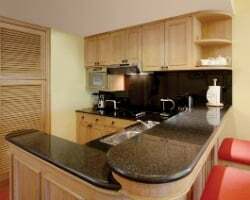 The resort's two bedroom apartments are perfect for families or groups of small sizes, and are able to accommodate six comfortably. With sweeping garden views and private balconies, you'll have all the space and sights you need to feel like you've arrived at your vacation. Additionally, common in-unit amenities ranging from free WiFi, laundry machines, and a fully-equipped kitchen will ensure that home-away-from-home feeling. Are you ready to guarantee years of great vacations to Thailand? The timeshare resale and rental postings on SellMyTimeshareNow.com are available now and priced affordably for vacationers like you. Fill out the form on this page or call 1-877-815-4227 to learn more. Timeshare resales are always priced lower than timeshares offered directly by the resort, and such is the case with the Marriott Phuket Beach Club. Since timeshare resales at the resort are listed for-sale-by-owner, you can often get the same great accommodations for thousands less—sometimes up to 70% lower than retail value. Additionally, you can get easier access to the Marriott Vacation Club through a timeshare resale at the Phuket Beach Club. Resales at the Marriott Phuket Beach Club are available in deeded and floating weeks, in annual usage periods during Marriott's Gold and Platinum seasons. This allows you to find an advertisement and an interval of ownership that suits your vacation preferences without having to settle. The Phuket Beach Club is affiliated with Marriott Vacation Club, one of the world's most popular timeshare brands. Those who buy timeshare resales at Marriott's Phuket Beach Club will be able to use their deeded week to make reservations immediately, however, you can also upgrade within the Marriott Vacation Club to earn more benefits. Upgrading your resale into the Marriott Vacation Club Destinations program, for instance, can unlock exclusive perks like points-based reservations and internal exchanges at other resorts. Marriott's Phuket Beach Club is also affiliated with Interval International, the world's second largest timeshare exchange company. A separate Interval membership can enable you to deposit your Phuket Beach Club resale accommodations into Interval's database, and can open up opportunities to trade for stays at other resorts around the globe. 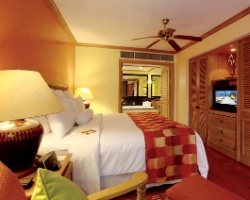 What's more, the resort is an Interval International Elite Resort, signifying its superior amenities and accommodations. The rating will work in your favor in earning you a higher trading power, and will return more results when you look to exchange. This Marriott Vacation Club Thailand resort offers a seemingly endless amount of on-site services and amenities to make your stay more comfortable. The resort is complete with recreation facilities like three outdoor swimming pools, a whirlpool spa, and a fitness center. The resort and its neighbor, the JW Marriott Phuket Resort and Spa, is also home to a staggering ten different restaurants and bars, assuring you'll have no shortage of dining options while on your trip. The Mandara Spa is also present for those looking to unwind with specialty treatments. 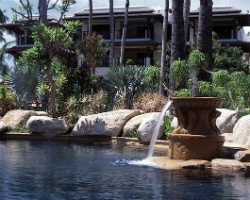 Surrounding the resort is the lush tropical atmosphere of Phuket and its gorgeous beaches. Located right on Phuket Beach, you'll have the sand and surf you crave on your Thailand trips just outside your door. However, Mai Khao Beach is located under two miles away, for the sake of variety. Golf fans will love the tropical seaside courses like Phuket Country Club that dot the area, while watersports like snorkeling, surfing, and jetskiing are all available in the immediate area. 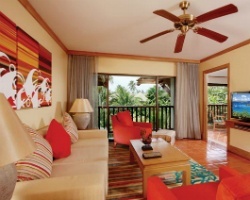 Already Own at Marriott’s Phuket Beach Club?